This is it. I’m not a big fan of burgers but after this, I’ve found my one and only love in a burger. 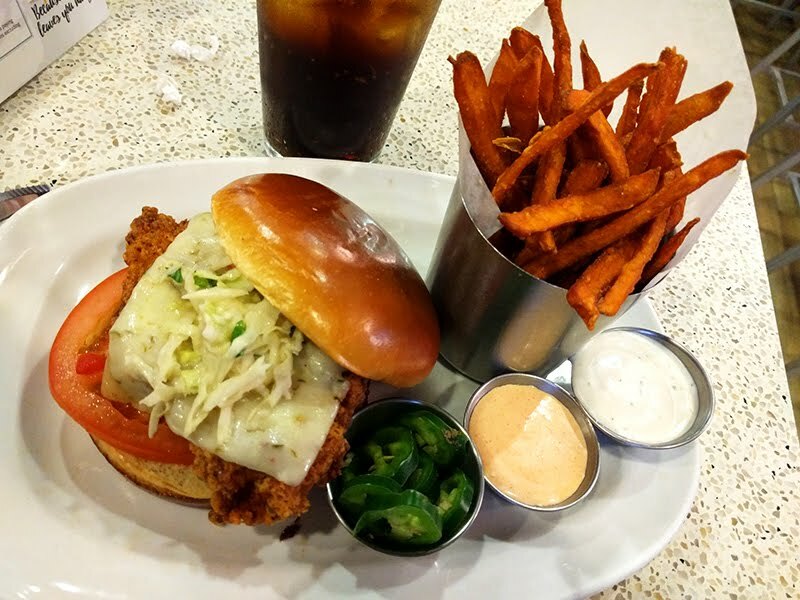 They call it a “Southern Fried Chicken Sandwich” but it’s a burger. 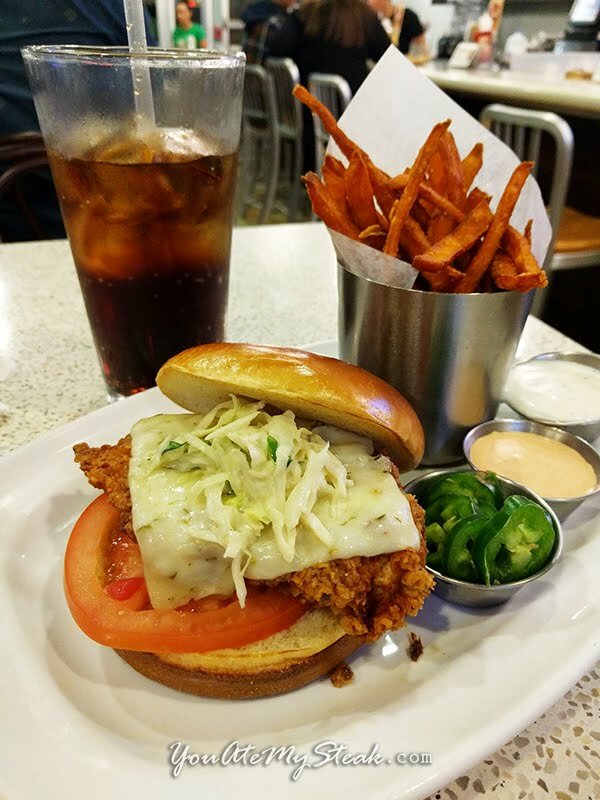 A tasty buttermilk brined southern fried chicken sitting on a brioche bun with jalapeno jack cheese, tomatoes, coleslaw, fresh jalepenos, and honey dijon to keep it warm until your loving mouth can devour it. Live life and order it with sweet potato fries and a side of ranch to go along with their usual excellent horseradish aioli dipping sauce. Take a bite of this masterpiece and before you’ve gotten to your third chew, grab a sweet potato fry, swirl it in the ranch, then dip it in the horseradish aioli then get it into your smiling mouth mid-fourth-chew. Be sure to inhale as you do this and say to yourself “life? is GOOD!” Wash it down with your favorite drink and walk out of here with a skip in your step.